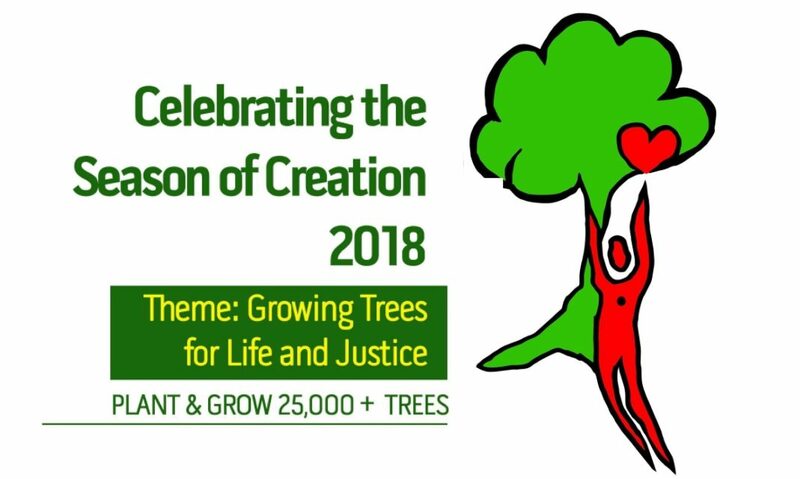 It’s been an extraordinary year for the Society of African Missions commitment to addressing Climate Justice. An Irish response to our own ecological crisis and also reaching out to support one of Africa’s greatest transcontinental initiatives, the Great Green Wall. Just over a year ago, on 28 September 2017, we were inspired to create the Laudato Tree and Great Green Wall Project. The following day President Higgins was so enamored with the idea, he agreed to inaugurate it for us. On March 26, 2018, at Aras an Uachtaráin, the Irish President gathered the SMA, the OLA, the Diplomatic Corp and a rich variety of Irish Civil Society and the faith communities. There he inaugurated the idea in the presence of Madam Monique Barbut, Secretary General of the United Nations Convention to Combat Desertification (UNCCD), with a memorable address. The following day, at Government Buildings, the Society of African Missions, facilitated a meeting between the UNCCD and the Irish Government, through the auspices of Minister Joe McHugh TD. Present was the Minister for Communications, Climate Action and Environment, Denis Naughten TD. The meeting culminated this July with an announcement by Minister Naughten that the Irish Government would contribute €1.2 million, as an initial contribution to Africa’s Great Green Wall. 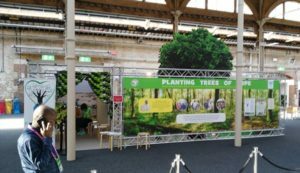 We then hosted what many considered one of the best exhibition stands at the World Meeting of Families – ‘Planting Trees of Hope’ – in partnership with the UNCCD and the Tree Council of Ireland. We invite you to look at our updated page on how you can get involved in the Project by clicking here. Any support you can give to the SMA in developing and promoting this initiative will be greatly appreciated. Next articleSEASON OF CREATION: THIS IS WHAT THE EARTH COULD LOOK LIKE IN 100 YEARS – IF WE’RE LUCKY!